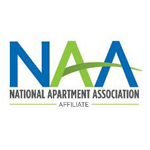 Honoring excellence in the multifamily industry. 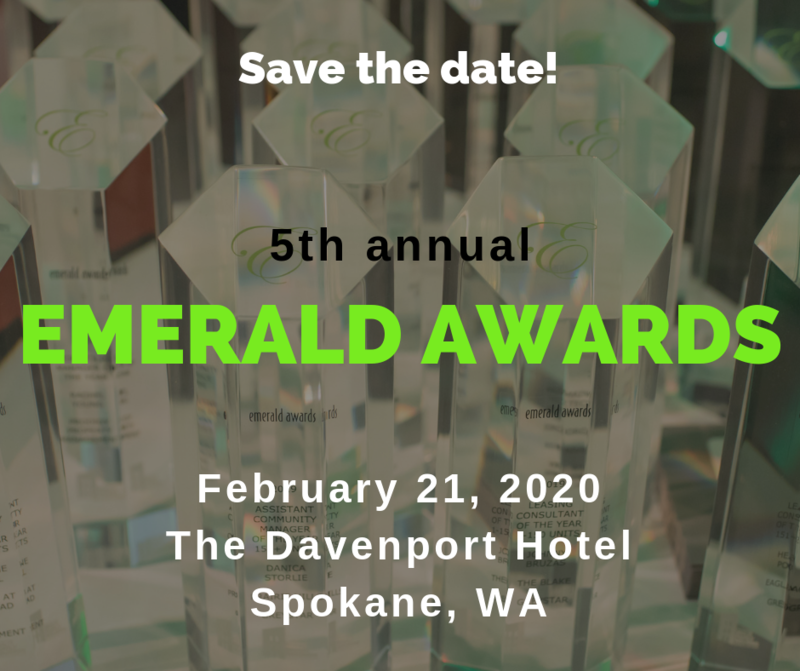 WMFHA's Eastern Washington Emerald Awards event is a special opportunity for the rental housing industry to acknowledge the great work done by associates working at properties throughout the state. 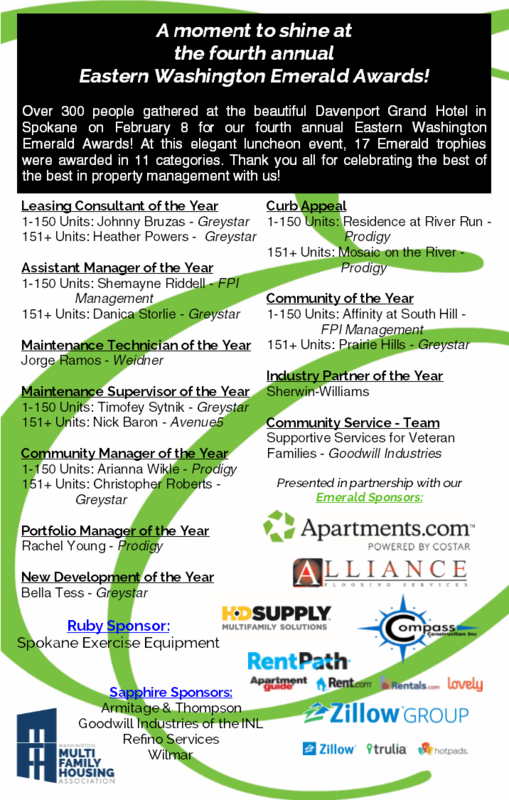 Awards such as Community Manager of the Year, Maintenance Technician of the Year, Renovated Apartment Community of the Year, and many others are announced at this prestigious industry event. Congratulations to the 2019 Emerald Awards recipients!